For many small businesses, the holidays account for a substantial percentage of revenue, and provide a key opportunity for marketing efforts. The holidays are a great time to try a new marketing strategy or improve upon current strategies in the interest of getting a customer or prospect’s attention, encouraging them to take a desired action during an already-hot season for buying. Small businesses should seize this advantageous time as an opportunity to upgrade their omnichannel communications strategy -- a holistic approach to marketing that means the audience has a seamless experience no matter the device or channel. The majority of today’s buyers use multiple channels before making a purchase decision. 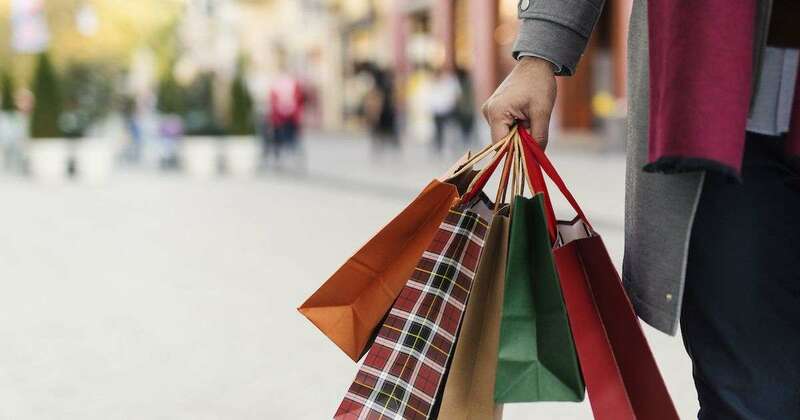 While most large retailers have a vigorous omnichannel strategy, leading the customer easily from mobile to desktop to storefront, small businesses need not be intimidated -- they, too, can implement these best practices into holiday marketing efforts. Here, we outline a few practical examples for how small businesses can combine offline strategies with digital marketing to create a fruitful omnichannel experience this holiday season. This is by no means an exhaustive list of the many ways small businesses can streamline seasonal marketing efforts, but we hope it will be helpful as a jumping off point. Send direct mail postcards to your audience at the start of the holiday season with an exclusive offer that leads your recipient to engage further on your website or social channels. Get optimized. If your website isn’t optimized for mobile, it’s time to hop on the bandwagon -- the average U.S. user spends 5 hours per day on their mobile device. The holiday season is a great time to implement a few mobile optimization upgrades so that users have a great experience regardless of device. Make sure holiday product offerings are consistent across platforms. Products that are available online should also be available in store, and vice versa, for a streamlined experience. If products are out of stock online or only available in-store, make that clear. Additionally, make the user experience on your company’s website intuitive and easy to navigate. Your shoppers should be able to easily find what they’re looking for. Simplify your customer’s journey to get in contact with you. The holiday season is a stressful time for many, and should an issue arise, shoppers want to be able to resolve it quickly when the December clock is a-ticking. Your audience shouldn’t have to click through multiple tabs to find your contact information. 22% of omnichannel shoppers say they experience frustration with staff, who they feel have a lack of knowledge and/or availability. After the holiday season is over, send marketing postcards encouraging your customers to share what they thought about your product or service, and requesting that they go to your website to leave a review or contact you to provide direct feedback. Just like you, holiday shoppers are busy and looking for convenience. It can be argued that a great omnichannel experience won’t even be noticed by your audience -- it should be that seamless and easy! Implement a few of these strategies this year to connect with your customers and make the buying process easy and enjoyable no matter where they are.